Nothing to do on Sunday? 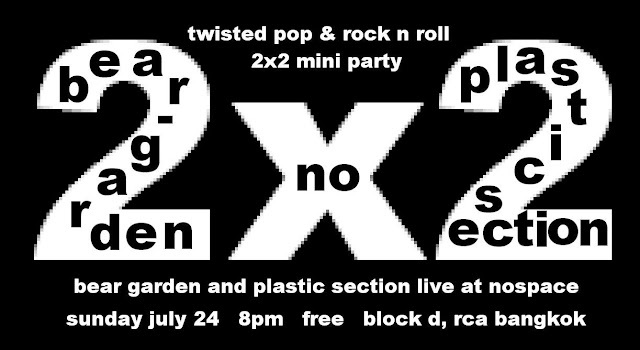 Come along to Nospace for drinks, music and a twisted pop rock n roll live party! With the amazing Bear-Garden and Plastic Section (featuring Ben from Basement Tape and special guest Bank Redtwenty), who will record the set for a possible live album.